for $2,999,000 with 5 bedrooms and 7 full baths, 2 half baths. 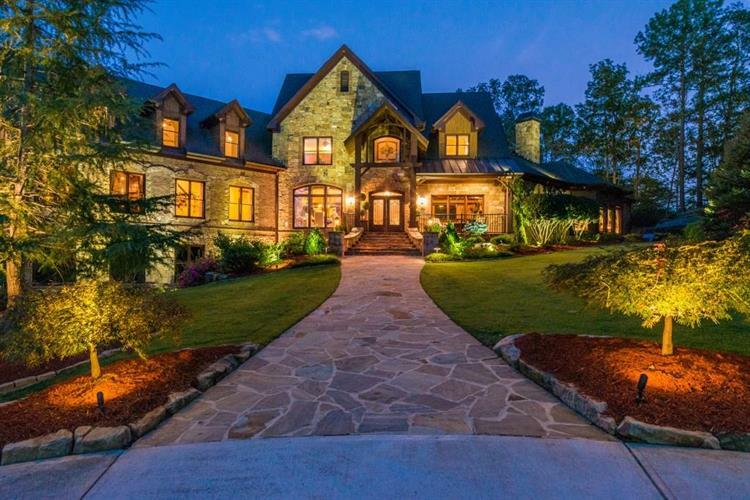 This 12,093 square foot home was built in 2006 on a lot size of 14 Acre(s). INDOOR/OUTDOOR LIFESTYLE LIVING AT ITS FINEST. ENTERTAINER'S PARADISE! Private compound sited on 14+ acres includes groomed landscaped grounds, gated entry, high security, total privacy, putting green, 3 outdoor fire pits, year-round open air living, salt water pool, waterfall, hot tub, advanced whole-house technology, outdoor sound & lighting, true chef's commercial-grade kitchen, owners suite on main, spa master bath w/ indoor/outdoor shower, billiards room w/ bar, 5-car garage, home theatre, gym, 4 additional suites. Outdoor full bath for pool. Quick interstate access.